Geothermal energy is gotten from the heat that exists below the earth. Geothermal energy has been in use since the Paleolithic era. To get this energy, water escapes through the rocks in the earth under high pressure. The water gains heat energy as it passes through the hot areas. The water released is hot enough to serve various purposes in the homes and manufacturing companies. In fact, it is known that the people in China and Rome have been using hot water from the rocks to cook and bath. Power plants used in generating geothermal power include binary cycle, dry steam and flash steam. There are several ways of using geothermal energy. For example, some people in the US and Sweden use it in heating pumps in their homes. Heat pumps are important for supplying heat around the house. In Turkey and Iceland, geothermal energy is used for supplying heat to districts while the Chinese use it to generate hot water for their bath. In New Zealand, the energy is used in the farms and industries. Since electricity is also generated from it, geothermal energy can also be used for cooling and serving various purposes. How Are Geothermal Resources Used? Geothermal energy has many advantages. For instance, it is renewable and also very safe for the environment. It does not pollute the environment unlike coal and other energy sources. Using this energy to heat or cool homes usually costs about $30 to $50 per month. One of the disadvantages is that it costs a lot of money to install the pump. In addition, installation must be done in a wide area because large pipes are often used. However, the advantages are usually greater than the disadvantages especially when used for a long period. Geothermal energy is much more efficient than other sources of energy. Geothermal energy is generated by using open or closed loop heat pumps. In open loop heat pumps, water is pumped through the geothermal loop, which is basically made up of pipes. The water goes back to its source after an exchange of heat has occurred between the geothermal loop and the heat pump. In closed loops, copper pipes are used for direct heat exchange. Heat pumps that can produce one ton usually cost around $2,500 and about three of these are needed for an average home. Geothermal pumps can last a long time and they are easy to maintain. Green homes are homes whose sources of energy are safe for the environment. Apart from geothermal energy, other types of energy for green homes include solar energy and wind energy. These options also save energy and money for families so it is cheaper to generate more electricity with them. Building Green (PDF): The page contains some benefits of building green. Green Homes: This page contains a detailed list of helpful tips to adopt in your homes. Building Your Dream Green Home: This page emphasizes on the importance of building green homes. Green Building Benefits: Benefits discussed here include financial benefits, health benefits and more. Green It Yourself: Find tips to help you make your homes green. Green Homes (PDF): This page contains a good amount of information for making homes more efficient. The Greenhouse Effect: This page contains diagrams to aid understanding of the greenhouse effect. Subtopics here include contributors to greenhouse effect and global warming. Solar Energy: Discover the benefits of solar energy. These benefits are also part of the requirements for going green. Greenhouse Building: The page contains information on the different types of green houses, structures for building them and factors to consider when building one. PACE program: This page contains information about the residential and commercial funding options for upgrading the energy efficiency of homes. The meaning of geothermal energy can be more appreciated by dividing the main word, “geothermal' into two. The word is derived from the two Greek words: geo (meaning earth) and therme (meaning heat). This means that geothermal energy is the kind of energy that comes from the earth. This energy can be converted to steam or hot water for generating electricity and heating homes. The energy cannot be exhausted because it is constantly produced in the earth. Geothermal energy is more abundant in areas known as geothermal reservoirs. These areas can be detected by scientists known as geologists. Geologists are able to discover geothermal reservoirs by drilling wells and testing the underground temperatures. Geothermal Home Basics: The page contains information on what it is, how it is generated and where it is found. Geothermal Energy: This contains a list of links where children can learn more. Energy Web Quest: This is a list of links to other renewable energy sources apart from geothermal. Kids and Energy: Subjects treated on this page include the definition of geothermal energy, how it is captured and the advantages. Geothermal Energy and The Environment: Discover what geothermal energy means and how it is used in your environment. Clean and Renewable Energy: Information on geothermal energy and other renewable sources of energy are provided here via links. 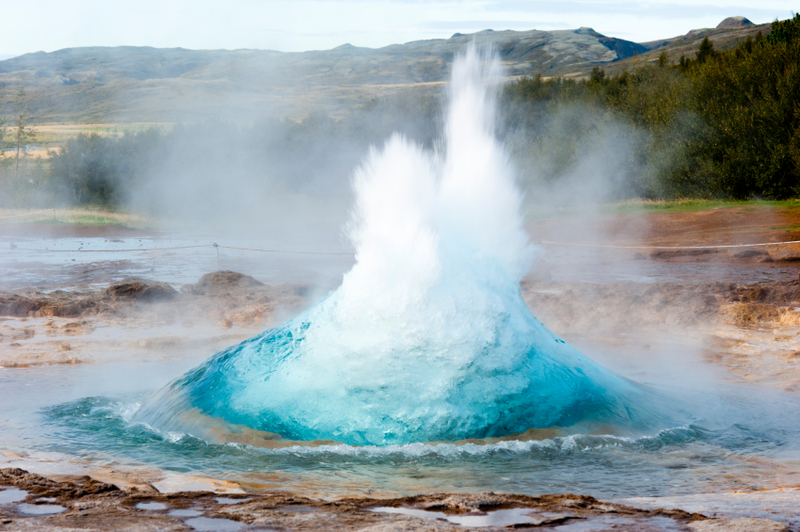 Geothermal Energy Links: A resource for teachers to help kids learn more about this subject. Renewable Energy Lesson Plan (PDF): A guide for teachers to educate kids on renewable energy including geothermal. Geothermal Energy Facts: Discover the advantages, definition and other facts about geothermal energy. About Geothermal Energy: The page is informative on the advantages of geothermal energy.